It is estimated that 20.9 million people globally are victims of modern day slavery. This multi-billion dollar human trafficking industry can strip its victims of their freedom through many forms, from prostitution to involuntary servitude, and can happen anywhere. U.S. Senator Heidi Heitkamp is the first female Senator elected from North Dakota. She took the oath of office on January 3, 2013. Senator Heitkamp grew up in a large family in the small town of Mantador, North Dakota. Alongside her six brothers and sisters, she learned the value of hard work and responsibility, leading her to choose a life of public service. Already in her short time in the U.S. Senate, Senator Heitkamp has quickly become a proven senator who works across the aisle to fight for North Dakotans. Senator Heitkamp has personally shown that if senators work together, it can lead to real solutions. As a former director of the one-of-a-kind Dakota Gasification synfuels plant, Senator Heitkamp has a long record of serving as a champion for North Dakota’s energy jobs and industry. She is continuing those efforts in the Senate, working to responsibly harness North Dakota’s energy resources, promoting the state’s all-of-the-above energy plan which she believes should serve as a model for the entire country, and fighting to lift the 40-year old ban on exporting U.S. crude oil. Senator Heitkamp sits on the Senate Committee on Agriculture, Nutrition, and Forestry, where she has been fighting for North Dakota’s farmers and ranchers to make sure they get the resources and support they need to continue to feed North Dakota, the country, and the world. Starting on day one in the Senate, she helped write, negotiate, and pass a long-term, comprehensive Farm Bill which Congress passed in 2014. As a member on the Senate Committee on Indian Affairs, Senator Heitkamp is continuing her pledge — from her time as North Dakota’s Attorney General — to stand up for Native American families and make sure the U.S. government lives up to its treaty and trust responsibilities. The first bill she introduced in the Senate would better protect Native children and make sure they have the economic and educational tools to thrive. Through her leadership on the Senate Committee on Banking, Housing and Urban Affairs, Senator Heitkamp has pushed to reform the nation’s housing finance system, make housing more affordable, address North Dakota’s housing shortage, and provide relief to small financial institutions. On the Senate Committee on Homeland Security and Governmental Affairs, Senator Heitkamp serves as the Ranking Member on the Subcommittee on Regulatory Affairs and Federal Management. Through her work on the Committee, Senator Heitkamp has pushed to provide training and resources for first responders, improve mail delivery and service in rural communities, help recruit and retain a strong federal workforce, and cut red tape to make the federal government more efficient and effective for North Dakota families and small businesses. Senator Heitkamp also serves on the Senate Committee on Small Business and Entrepreneurship where she has worked to support the small businesses and startups throughout North Dakota and rural communities. She introduced a bill to address challenges facing startups in North Dakota, as well as other rural states and small cities, by helping them get the early stage funding they need to grow their businesses. Senator Heitkamp previously served as North Dakota’s Attorney General, battling drug dealers, protecting senior citizens from scams, and working to keep sexual predators off streets and away from kids, even after their prison terms were up. During her time as North Dakota’s Attorney General, Senator Heitkamp brokered an agreement between 46 states and the tobacco industry, which forced the tobacco industry to tell the truth about smoking and health. The settlement resulted in the award of about $336 million to North Dakota taxpayers to date. It was one of the largest civil settlements in U.S. history. When very little of this funding was being spent on anti-tobacco programs as intended, Senator Heitkamp led a successful ballot initiative in 2008 that mandated significant increases. 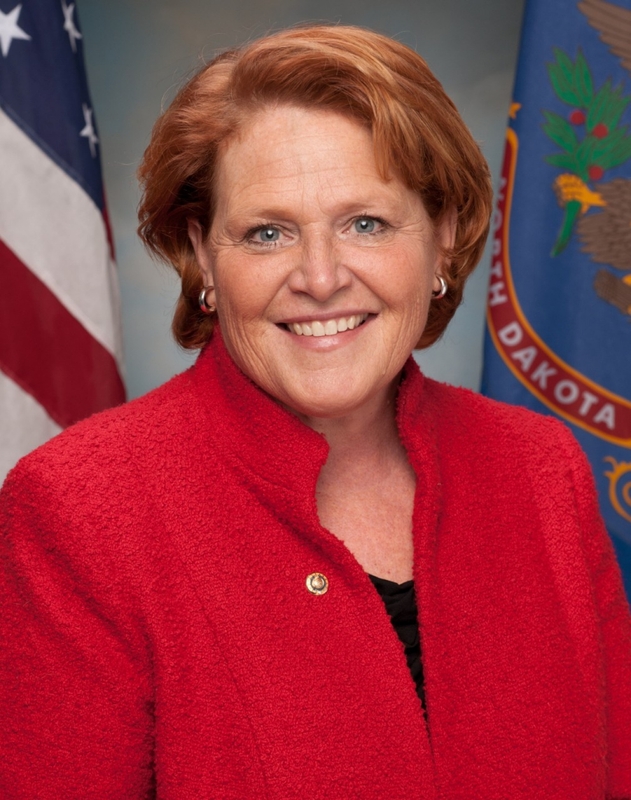 Previously, Senator Heitkamp served as North Dakota’s Tax Commissioner. Under her tenure, the State of North Dakota attempted to make catalog retailers collect the sales tax the state and municipalities were already owed on sales. The debate went all the way to the Supreme Court in the case Quill v. North Dakota. Senator Heitkamp received a B.A. from the University of North Dakota and a law degree from Lewis and Clark Law School. She lives in Mandan, North Dakota with her husband, Dr. Darwin Lange, a family practitioner. They have two children, Ali and Nathan. Mrs. Cindy Hensley McCain has spent her life fighting on behalf of women and children, and has been a strong leader in the fight against human trafficking. 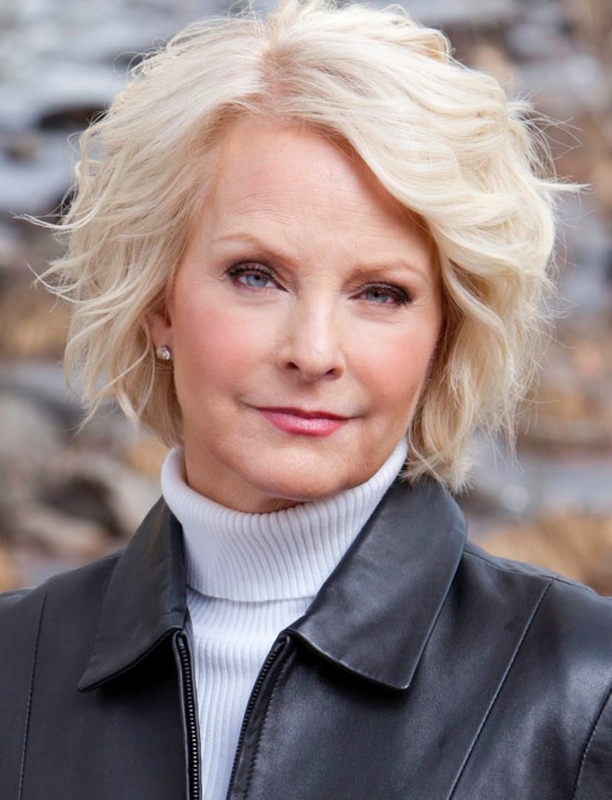 From serving as the Chair of The McCain Institute’s Human Trafficking Advisory Council and Co-Chair of the Arizona Governor’s Council on Human Trafficking. She works seamlessly across political, public, and private lines and has engaged with the National Football League, The International Center for Sports Security, both the Democratic Republican National Committees, Polaris, National Center for Missing and Exploited Children, Google and many other organizations to work to eradicate human trafficking. She has advised members in the fight against trafficking in London, Kenya, Congo, Cambodia and the Ivory Coast. Cindy serves as co-chair of the Arizona Governor’s Council on human trafficking and on the McCain Institute’s Human Trafficking Advisory Council. She is dedicated to efforts to reduce human trafficking in Arizona, throughout the United States and around the world, as well as working to improve the lives of victims of human trafficking. Through her work with the McCain Institute, several partnerships have been formed with anti-trafficking organizations working on solving various aspects of the problem. Mrs. McCain has worked to shed a light on the different facets of every day life that are affected by human trafficking, such as law enforcement, healthcare, the internet and child welfare systems. She addresses human trafficking at an international level, by heading directly to the frontlines of the world with the most vulnerable populations subject to human trafficking. On the shorelines of Greece and Turkey, Mrs. McCain worked with organizations to educate refugees on the signs of human trafficking and how to avoid falling prey to traffickers. She has travelled extensively around the world learning more about the issue and the multitude of ways to fight this heinous crime. She is on the Board of Directors of Project C.U.R.E and also sits on the Advisory Boards of Too Small To Fail and Warriors and Quiet Waters. Cindy holds an undergraduate degree in Education and a Master’s in Special Education from USC and is a member of the USC Rossier School of Education Board of Councilors. Mrs. Cindy Hensley McCain passionately fights to stop human trafficking by convening academics, politicians, corporation officials, and technology experts to work together to stop this crime against humanity. This entry was posted in Washington D.C.. Bookmark the permalink.